But did you know that every time you shop at Amazon.com, your order could actually help us in our cause? 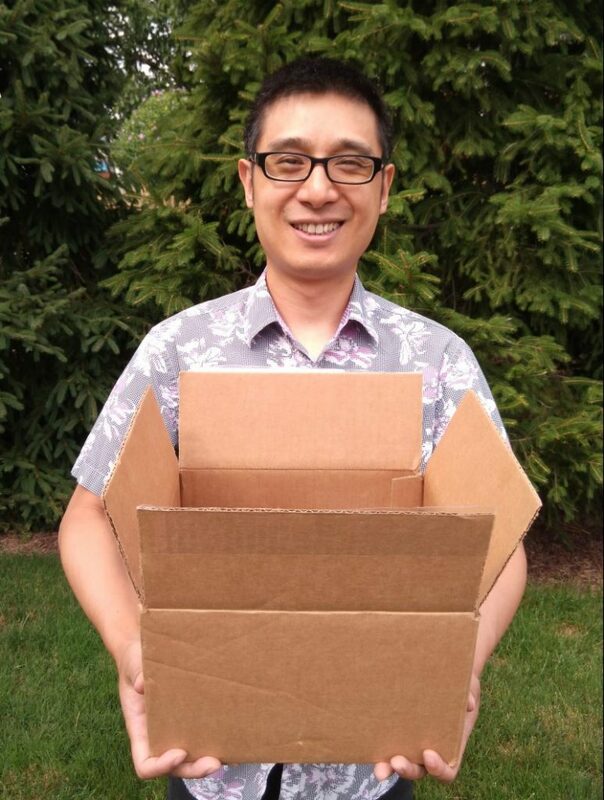 Whenever you shop at Amazon.com through an affiliate link on Speaking of China, Amazon.com will automatically give up to 6 percent of the purchase to us. 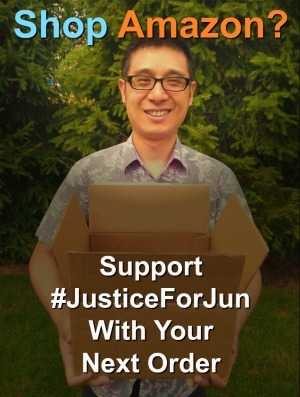 Those funds can help us with the enormous costs of our legal fight for #JusticeForJun. It’s like asking Amazon.com to make a donation to us, every time you shop — at no extra cost to you! How amazing is that? You can bookmark it and use it again and again, ensuring Amazon.com continues to give back with every purchase you make. As always, thank you for all you do to support us. Sounds like a good deal. I bookmarked it. Jocelyn, I bookmarked the link as well, thank you for posting. Do third party websites count? As long as you order something through an Amazon affiliate link through this site (even something sold by a third-party on Amazon) your purchase can help support us. there seems to be no link for amazon.ca though ??? I admire women who stand for their men. I wish you and your husband best of luck, and I hope you and your husband successfully knock down the shameless, spineless institution. I do a lot of amazon shopping and I support your cause. Bookmarked. 🙂 How did things go in the states? Will you be posting an update? Thinking of you guys as you walk this journey! Hi Leslie, thank you! Things went well. I will be posting an update this weekend to our fundraiser. Thank you for your good thoughts! question does it work for amazon.co.uk?